Derailments Caused by Too Long Trains? 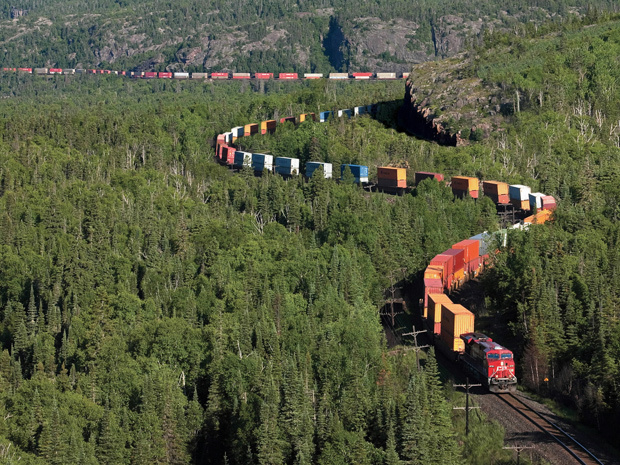 This Financial Post article indicates the Transportation Safety Board of Canada has launched a 6-part study into the increasing length of trains by Canadian National Railway and Canadian Pacific Railway to cut costs and thereby increase company profits. As CN and CP trains have been getting longer, the number of derailments has been skyrocketing, especially for CN. The federal regulators want to develop science-based regulations that will hopefully reduce the steadily increasing number of derailments. For more on derailments see this link. ~ by railroaded on February 27, 2011.